A thirtieth wedding anniversary celebration for a special couple. 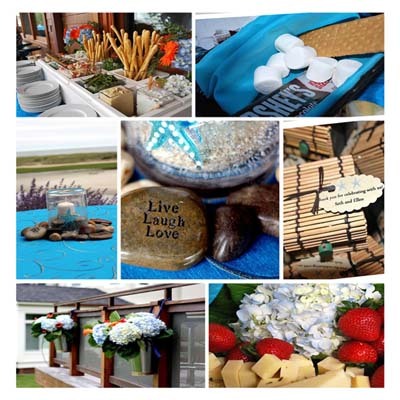 Friends and family were treated to a party at the summer home of the “bride” and “groom”. The menu was a feast for all senses and combined with live music and late night s’mores by the fire gave guests a night to remember. The love that was and still is shared by this couple is something I wish for all newlyweds for many years! Live, Laugh, Love!!! A tranquil setting, a barn and seasonal food on the menu all combined to make this a unique and gorgeous wedding. A talented piano player added just the right touch as guests gathered in a large open room for the wedding which took place in front of large windows overlooking a wooded area. 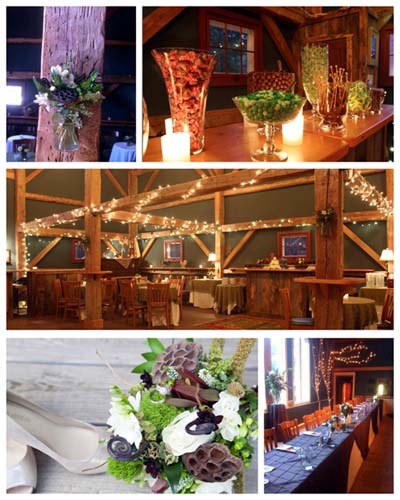 Cocktails were served in the barn while the ceremony space was converted to an intimate spot for dinner. The meal was a wonderful variety of locally grown items and was delicious! Guests danced the night away back in the barn and sent the couple on their way to happily ever after. What a great day this was……we were on Peaks Island off the coast of Portland, Maine in early September. 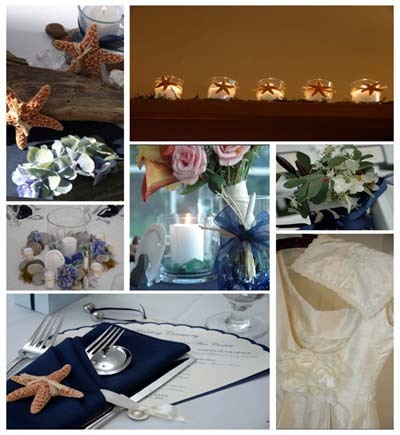 The groom proposed on an island and the décor details reflected their love of the ocean. The bride designed and made her vintage style dress and she was still adding finishing touches to it the morning of the wedding – yikes! Her instincts and sense of style were right on and she was a beautiful bride. All because two people fell in love…. 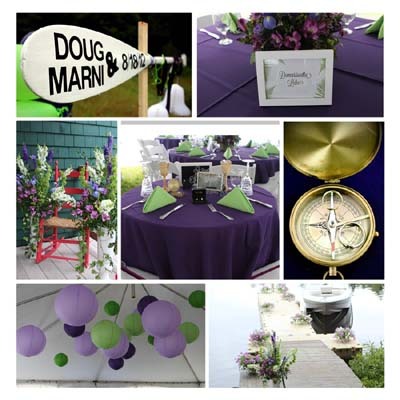 This wedding took place on Pemaquid Lake in Nobleboro, Maine at the bride’s family cottage. The day started out rainy and with a ceremony location outside and a tented reception, that was not a good thing. But with patience, prayers and crossed fingers, the rain stopped and the couple was able to be married on the shore where the bride played as a little girl. I had a lot of fun working with this couple to make their day special and just what they wanted. The groom refers to the bride as his “true north” – the compass in the picture was my special touch on their sweetheart table. I wish them many years of happiness!